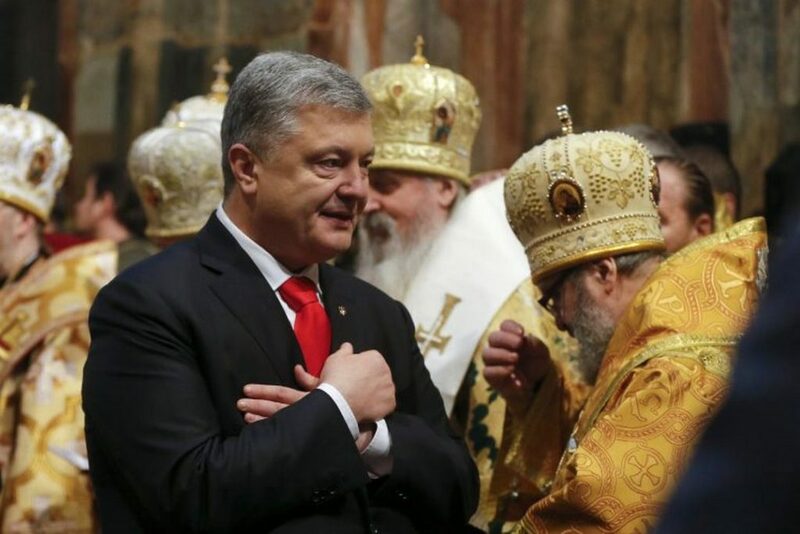 It’s been almost a month since Patriarch Kirill of Moscow suspended Eucharistic Communion between the Church of Russia and the Ecumenical Patriarchate, in response to the granting by Patriarch Bartholomew of the Tomos of Autocephaly to the Church of the Ukraine. By his action, the Russian Patriarch set into motion a schism within Orthodoxy with a potential for harming not only the relations between Moscow and Constantinople, but also between other Churches within the Orthodox family. One would assume that because of the seriousness of the Russian action and its potential for damage, efforts would be under way by now to undo the schism or somehow restrain it. Nothing of that sort, however, seems to be happening. The international news media are generally silent on the issue and so are the official pronouncements from the various Churches of Orthodoxy. Moscow, the source of the schism, is generally remaining silent about it, and so is Constantinople, which at best, appears to be hoping that the schism will turn out to be a minor Church quarrel that will fade away. History teaches us, however, that schisms do not fade away; they have staying power of their own and can become dangerous over a period of years. The one launched by Patriarch Kirill has such a potential, because it involves Orthodoxy’s two largest and most prestigious Churches (the Church of Russia with a membership of over 100 million) and Orthodoxy’s Mother Church, the Ecumenical Patriarchate. Fortunately, as of this writing, only the above two Churches among the Autocephalous Churches of Orthodoxy are directly affected by the schism. The remaining twelve Churches (Antioch, Jerusalem, Alexandria, Georgia, Bulgaria, Serbia, Romania, Cyprus, Greece, Albania, Poland, and the Czech Lands and Slovakia) though greatly troubled by the development, are not. They continue to be in Eucharistic Communion with each other and of course with both, Moscow and Constantinople. As expected, the Ukrainian Church crisis turned out to be the source of great disappointment to the Primates of all Orthodox Churches. Their repeated suggestions to the Patriarchates of Moscow and Constantinople that the issue be resolved by Pan-Orthodox action, rather than the Ecumenical Patriarch acting alone, were ignored; and the schism that they had repeatedly warned against came to pass. There is no higher priority in Orthodoxy today than bringing about a reconciliation between the Patriarchates of Moscow and Constantinople, and preventing the divisive schism from gaining roots and growing. It will be a difficult task, but fortunately is doable, given the desire for unity by the rank and file of the Orthodox faithful and readiness by several of the Church Primates to provide the required leadership. Reconciliation will require the convening of a Pan-Orthodox Synaxis, chaired by the Ecumenical Patriarch, with all Orthodox Primates participating, including the Patriarch of Moscow and the Metropolitan of the newly created Church of the Ukraine. A carefully crafted agenda, agreed upon by Pan-Orthodox consensus, and focusing on the many shortcomings in the Church structure that were surfaced during the consideration of the Ukrainian issue will be essential. They should include at a minimum: (a) the process for granting Autocephaly (whether it should be accomplished in the future by Pan-Orthodox action); (b) the territorial area of the Church of Russia in the aftermath of Soviet rule ; and (c) the rights and responsibilities vested in the office of the Ecumenical Patriarch as the “first among equals”. The Ukrainian dispute would not have caused the turmoil it did, had the rights and responsibilities of the Ecumenical Patriarch been updated in time to reflect the changing world conditions and needs of the 21st Century. For the sake of the future of Orthodoxy, it is time for the leadership of the Church to do so now, while also applying every effort to remove the schism that threatens our churches and millions of its faithful. Nothing demoralizes Orthodox Christians more than the knowledge that a jurisdictional dispute, which is of no direct concern to them (as was the Ukraine) is dividing the Church and separating them from their Orthodox brethren. The time for action is now. The Orthodox Church needs to be united and free of internal divisions, with a leadership appropriately equipped to confront the future and the changing world conditions and needs of the 21st Century. So basically it’s the fault of the Russians not the EP, although the whole Ukrainian issue was a CIA intervention to weaken Russia? Interesting how this issue is deflected into a Putin put down by the EP. The EP’s action is harming the Orthodox Church pure and simple, and it may never recover from his desire to become the Eastern Pope. Dennis: You forgot to list the OCA as the only canonical autocephalous church in North America. And, no matter what + Bart thinks, the OCA’s autocephaly is recognized by all of Orthodoxy, but + Bart is still waiting for his $25mm from the OCA to say, “OK.” After 49 years, you’d think + Bart would get it. Not happening. Furthermore, this schism, non-communion between + Bart and + Kirill is plain stupid. To use the Body of Christ as a punishment for one’s own pride is extremely shallow and unchristian. The Canons are clear, “One authocephalous, local church in a territory.” Russia is one territory and Ukraine is another territory. Both the Russ and Greeks have history in the Ukraine, but neither have the right to claim it as theirs. Tell the bishops to grow up and act like REAL bishops! Ukraine is a country without the article “the” – simply Ukraine. Had Russia, both Church and state, respected the independence of Ukraine and its people, and recognized their right to an independent (autocephalous) Church (as seen in all other Orthodox countries), none oF this would have happened. As it is, both ROC and the Kremlin continue to wish to dominate Ukraine, her people, her Church, her culture and language, and are not above using he ROC in Ukraine as a fifth column for their imperialistic designs.